The random number generator has chosen for me to write about the Downloadable Content (DLC) for New Super Mario Bros. U called New Super Luigi U. This was the first DLC that I counted on my list as a full game, as it really felt like a full game. 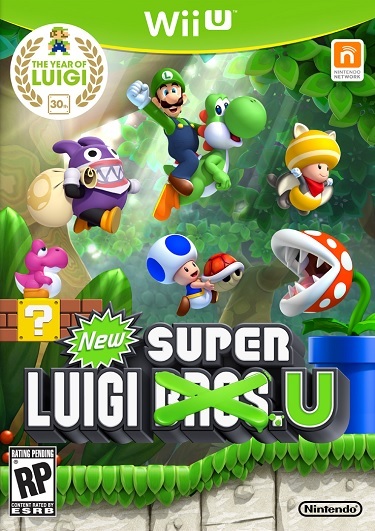 The truth of the matter is that although it started as DLC, it was released again on its own disc without the regular content of New Super Mario Bros. U. This happens to be one of the 26 games set within the Mario Universe that I beat within a year. 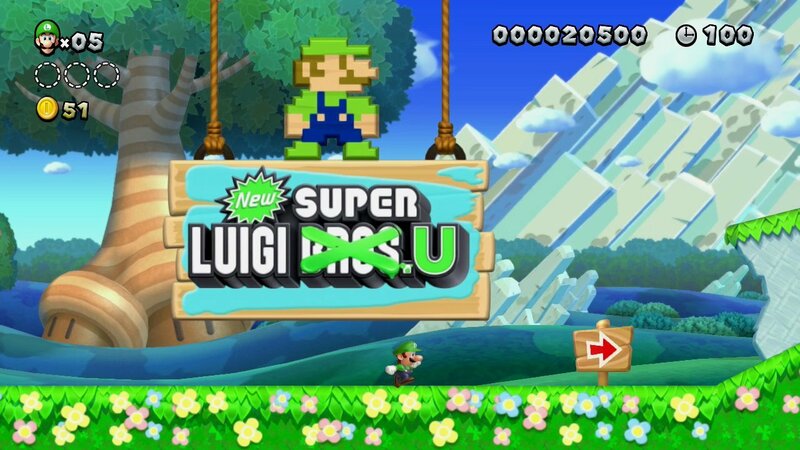 New Super Luigi U is a New Super Mario Bros. game with a few twists thrown in. It’s for the Wii U gaming system and includes the usual features of the New Super Mario Bros. series. 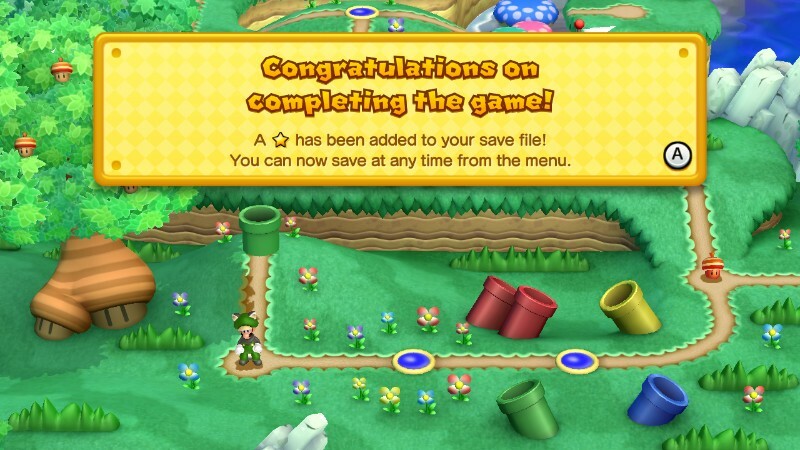 Basically, you can only save whenever you want after you beat the story, and the objective for completing the game 100% is collecting all of the Star Coins. As usual, there are 3 in each stage and you keep the star coins you obtain within the stage only if you make it safely to the flag at the end. There are as many stages in New Super Luigi U as there are in New Super Mario Bros. U, because the over world is exactly the same. The stages, however, are more difficult, and yet shorter. Though the stages are full of death traps, you are only given 100 seconds on the timer to make it to the end of the course. There are no check points, and it might even be impossible to obtain all 3 star coins in one go for certain stages. I cannot confirm if this is actually true or not, because there are some truly super players out there. 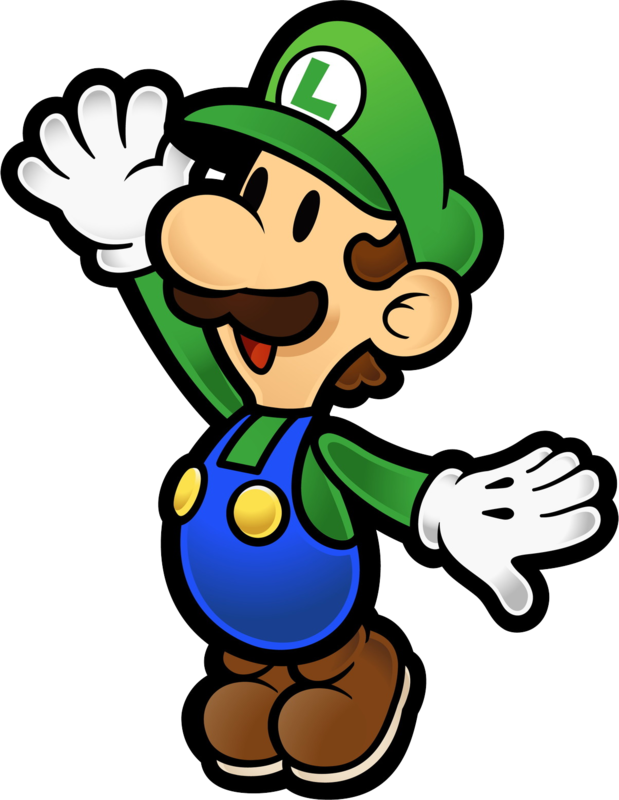 It’s possible to play the game as a character called Nabbit, who is immune to enemies, but because that makes the game too easy, I only played as Luigi. 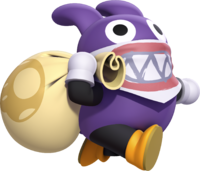 I know that I’m a hypocrite because I use Restore Points in some virtual console games and yet think playing as Nabbit is cheap. I might have downloaded this DLC before my copy of New Super Mario Bros. U arrived in the mail, but I didn’t try the game out until I got stuck in a level in Mario U. Like always, the trick to working on New Super Mario Bros. games is to find your way to the end of the story so that you can save your progress more frequently. This time, even moving through the campaign was something of a trial. 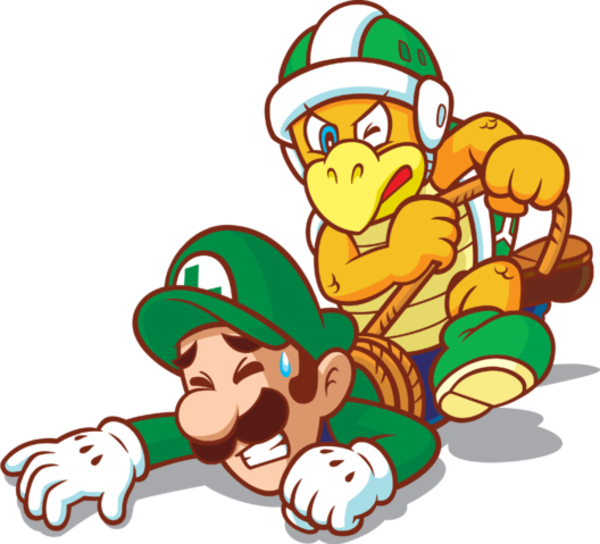 Luigi can save after every beaten Tower and Castle, so the idea was to beat a tower or castle before using up all of Luigi’s lives. I got as far as the tower in Soda Jungle before I really got stuck and tried my luck again with Mario U. Eventually, Luigi U was the last New Super Mario Bros. game left for me to 100%, and so I took a pretty significant shortcut so that I could get quickly to the end of the story. 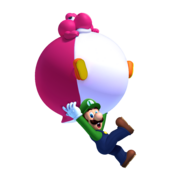 The inflatable pink baby Yoshi was very helpful in clearing many of the stages in this game. The infinite lives trick takes a bit of skill to perform in Luigi U. This video shows someone who is very good at performing it. Even though I never got as many as 99 lives in the level per attempt, I still made a profit of lives. 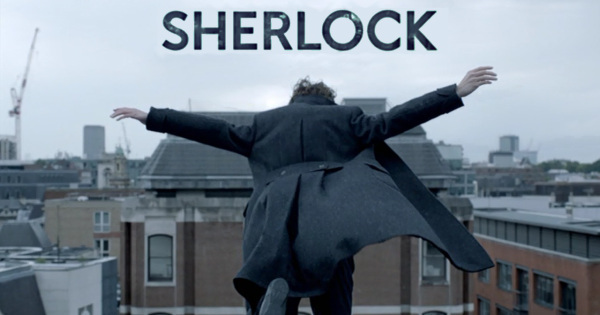 Towards the end of my completion of this game, I spent a lot of time listening to audio books from the Sherlock Holmes series. I’m a big fan of the BBC’s modern adaptation of the stories, so I’ve been listening to the originals now and then ever since. I was super stoked to finally complete New Super Luigi U, but the sense of accomplishment I had, while still strong even today, also gave way to a sort of emptiness. When I first heard of it, I thought the New Super Mario Bros series wouldn’t be fun because it was two dimensional, but after I had beaten the 3D Mario games, I looked to New Super Mario Bros to tide me over until the next 3D Mario game. What happened after my completion of New Super Mario Bros is that I had to find something else to fill the gap it had been filling before. I would fill that gap with the Paper Mario series, but that’s another story.